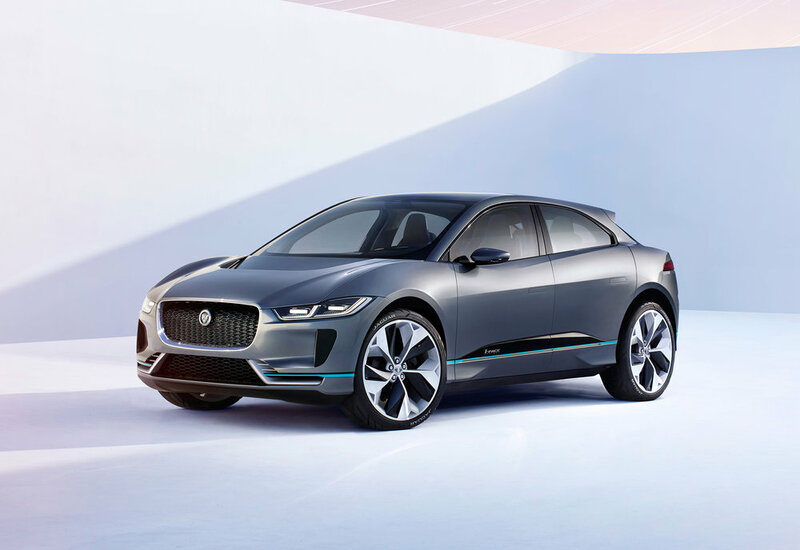 Previewing Jaguar’s first-ever electric vehicle, the I-PACE Concept was unveiled to a star studded audience in Los Angeles. 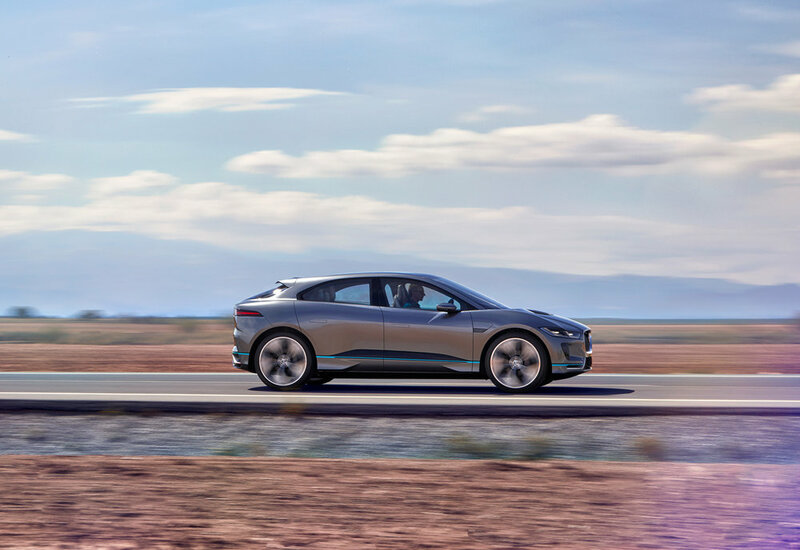 Described by the British brand as a ‘production preview’ of the Jaguar I-PACE, which will be revealed in late 2017 and will hit the road in 2018. 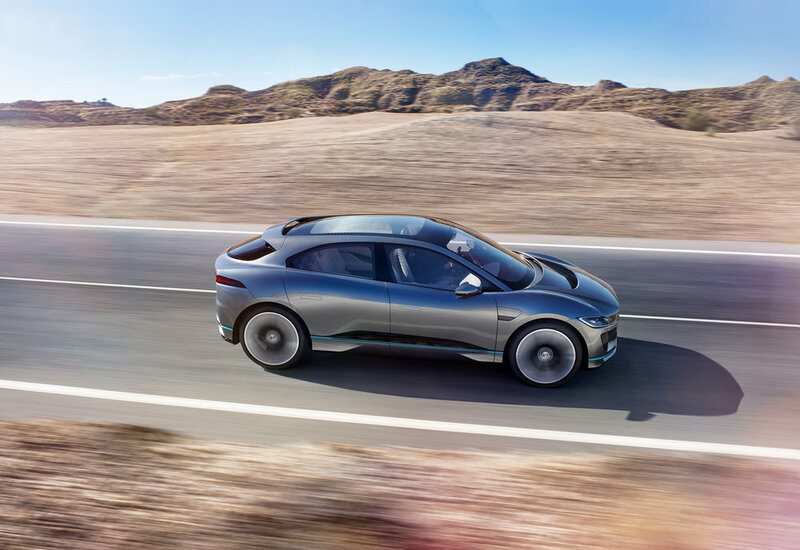 An electric performance SUV with a ‘bold, cab-forward design’ Jaguar says it combines a supercar silhouette with sports car performance and five-seater SUV versatility. With a predicted range of more than 310 miles on the NEDC cycle, drivers with the average daily commute will only need to recharge the vehicle once a week. Built on a new electric vehicle architecture, the I-PACE occupies less road space than conventional mid-size SUVs yet offers more room for passengers and luggage than models in the segment above. With no engine bay and a battery pack that sits flat between the axles, the long wheelbase and short overhangs enable a footprint of 4,680mm x 1,890mm and a long wheelbase of 2,990mm. Charging is quick, with 80 percent charge achieved in 90 minutes and 100 per cent in just over two hours using 50kW DC charging. Electric motors at the front and rear axles generate a combined output of 400PS and 700Nm of instant torque, delivering ‘sports car acceleration’ and the all-weather, all-surface benefits of all-wheel drive. Optimised aerodynamics deliver a low drag coefficient of 0.29 aiding the predicted 0-60mph time of ‘around 4 seconds’ (Top speed TBC). 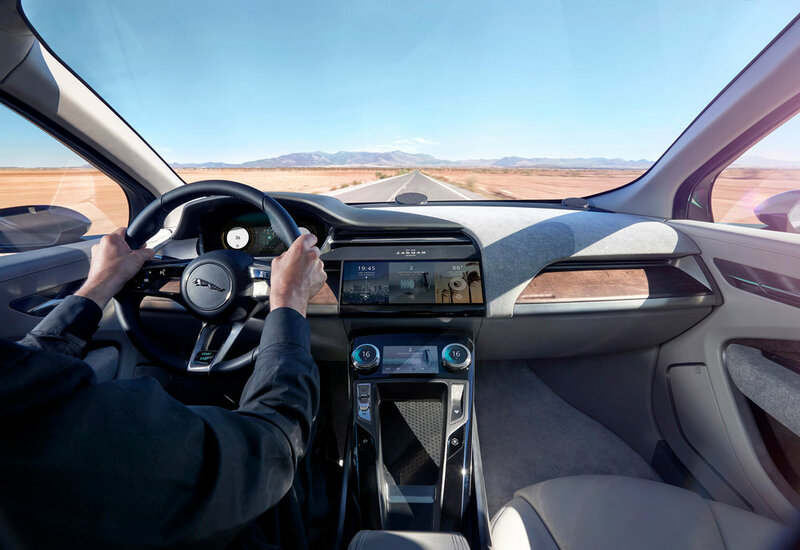 The lightweight slimline seats and a ‘Sports Command’ driving position provide a sports car-like ‘sense of connection’ with the road says Jaguar. The interior features ‘cutting-edge technology and premium materials’ and there is a ‘flightdeck’ approach to the cockpit, featuring three screens - two touchscreens in the centre console and a virtual instrument cluster behind the steering wheel. Inspired by the F-TYPE sports car, the interior is driver-focused, with the driving position much lower than a traditional SUV. Clean and uncluttered, the design combines handcrafted, high quality materials with a light colour palette. The Jaguar design team have also chosen to layer authentic materials for a 'unique look' - dark, unvarnished walnut veneers sit flush with metal inserts to create 'seamless, textural contrasts'. To complete the interior, there’s a full- length panoramic glass roof, which floods the interior with natural light.